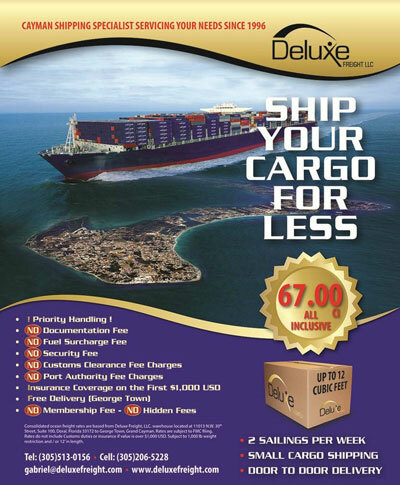 * Consolidated ocean freight rates are based from Deluxe Freight - warehouse located at 11401 NW 107th Street Suite: 100 Miami, FL 33178 to George Town, Grand Cayman. Rates are subject to FMC filing. 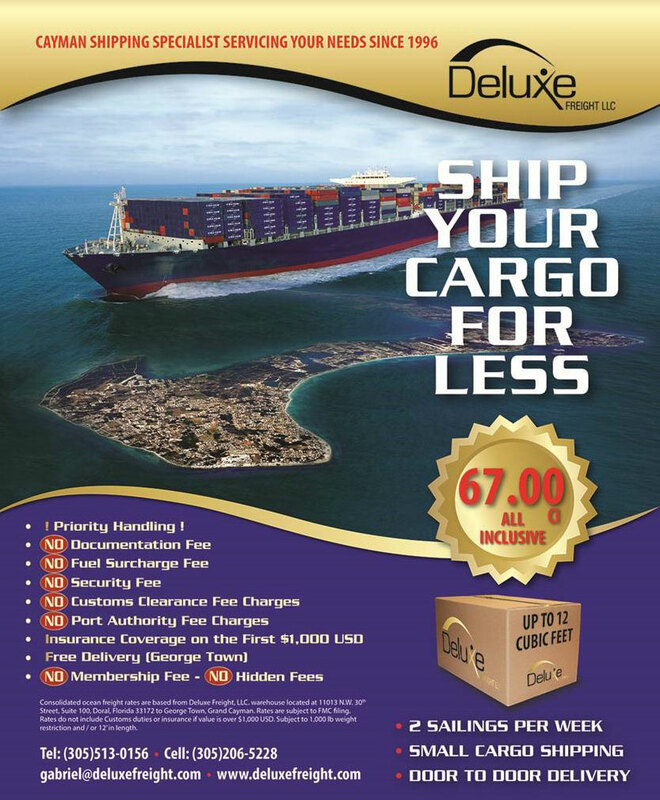 Rates do not include Customs duties or insurance if value is over $1,000 USD. 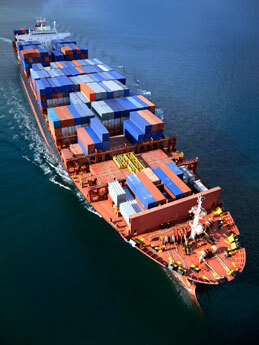 ** Small Cargo Insurance is applicable for cargo that is properly and securly packaged for export. 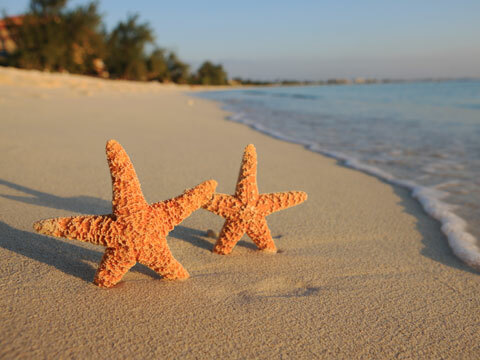 *** Additional fees would apply on personal effects due to handling and customs inspection. **** Service is available and price is subject to cargo that’s under 12 Feet in length.